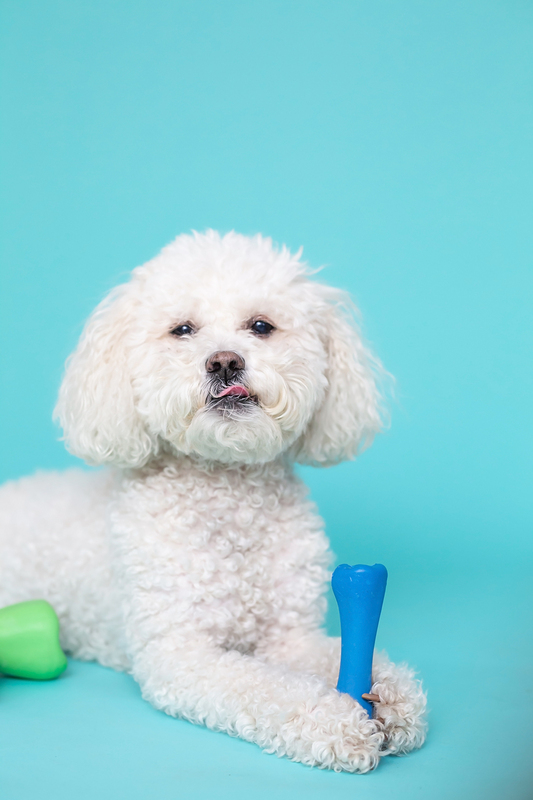 When it comes to dog chew toys, it can be very challenging to find the right toy for your dog. Well today, we’d like to share our most recent discovery for Pawsh resident pupper, Miss Rory (who is now 10-years-old — can you believe it?) which both she and we cannot get enough of! Keep reading for all the details! Now that Miss Rory is a senior dog officially (excuse us for a moment while we search for a tissue, where does time go?) she has been having some difficulty playing with her regular go-to chew toys. She would carry around her go to bones, but end up sitting and licking them instead of gnawing away in delight. The reason is because she’s aging and her jaw is not as strong as it once was, nor are her teeth or gums. Although still perfectly healthy, she just doesn’t have the chops for tough chew toys any more. 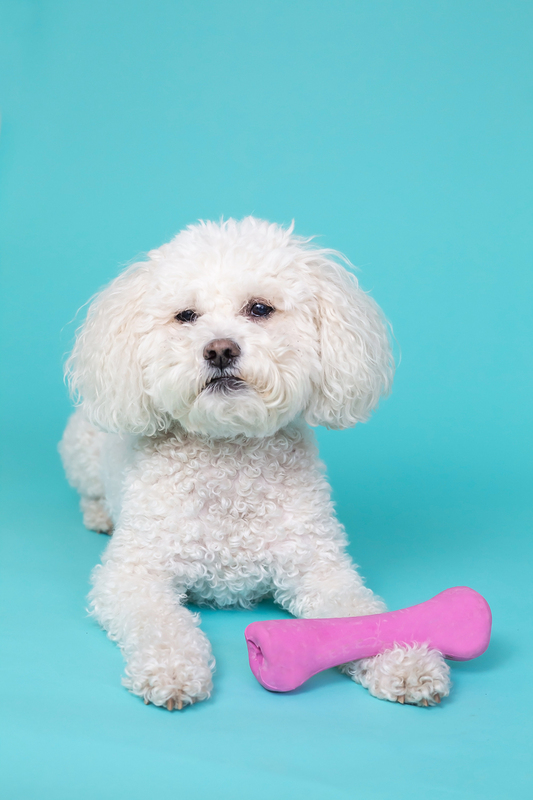 Enter the Natural Rubber Chew Bone from Beco Pets. 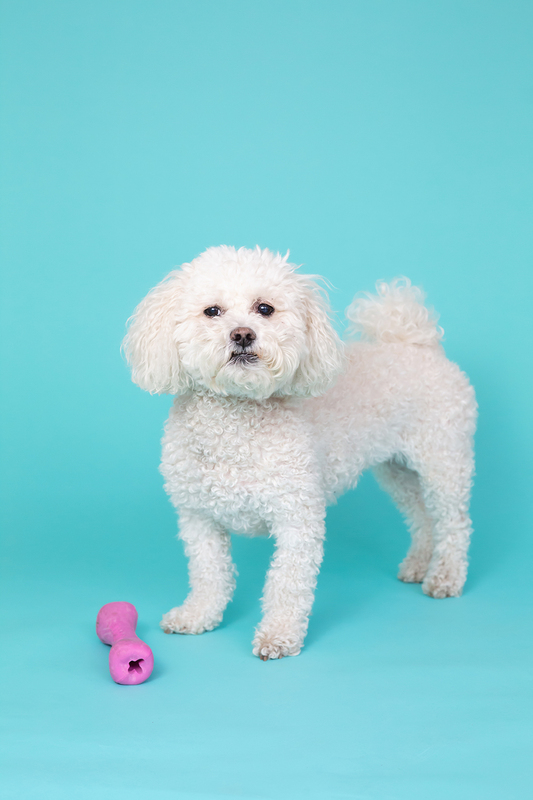 Made from BPA natural rubber, this toy is still very durable while retaining a ‘gummier’ texture, making it an ideal play choice for a senior dog like Rory! 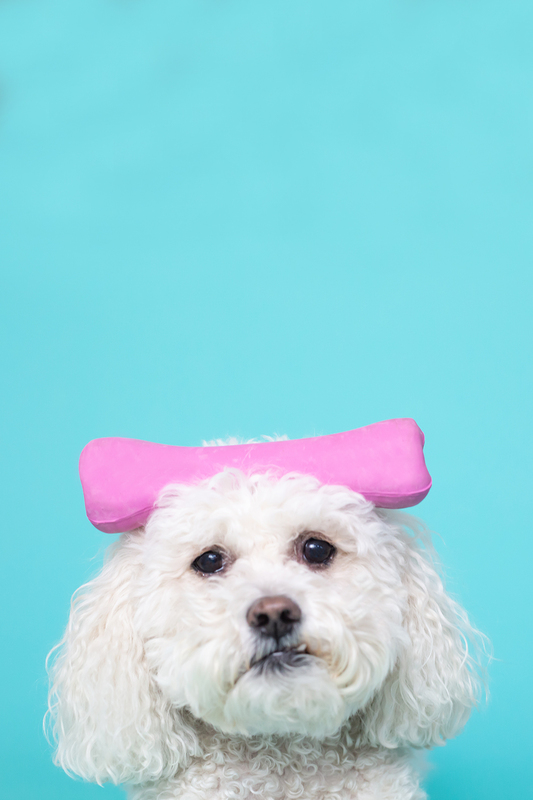 She can work out her jaw without cutting her gums and we rest easy knowing this pet product is sustainable and natural. 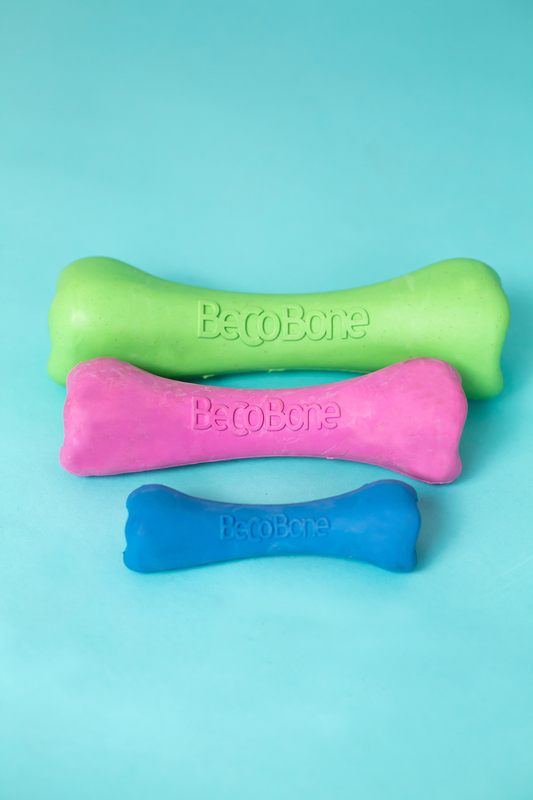 For added convenience, this Beco Pets bone comes in three different sizes. While Rory adores all of them and will hoard them as much as possible, the medium has proven most ideal for her 15lb weight class. 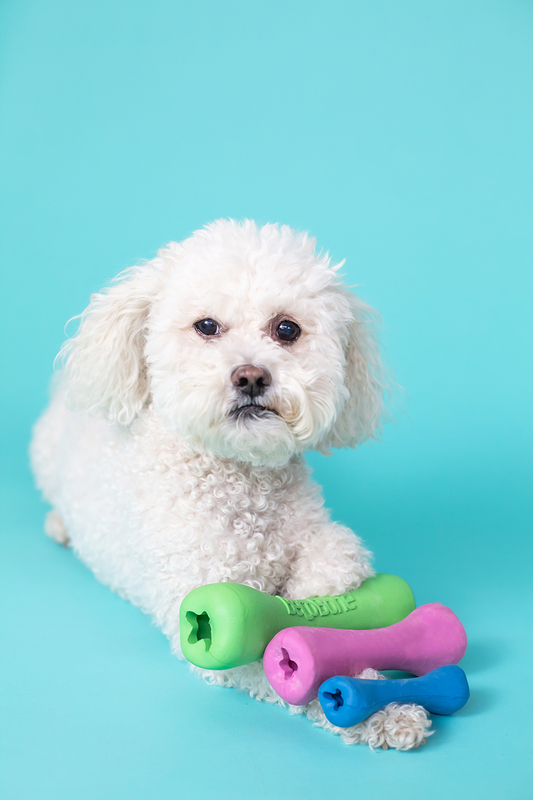 Plus, for added playtime hours, these bones have a hollowed out center, meaning you can hide treats too! How fun! This bone has been floating around the Pawsh office for many months now and is still going strong! 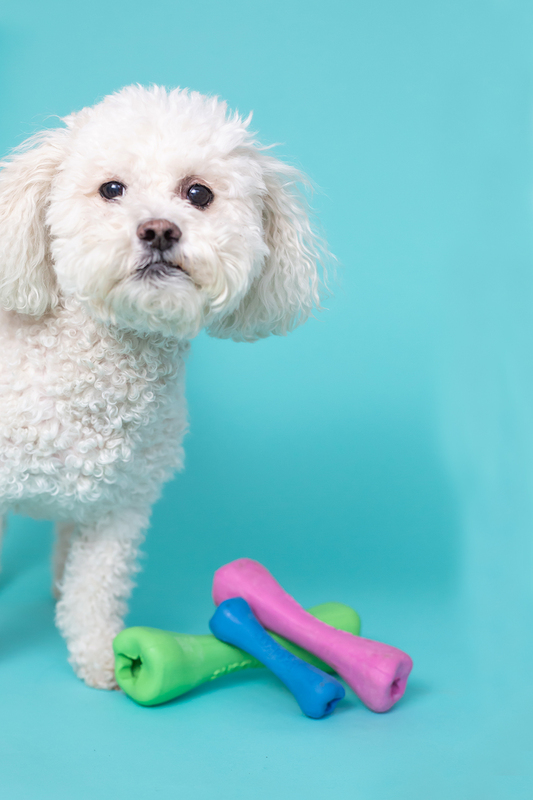 It has been such a joy seeing Rory’s playful nature come to light once again — all it took was finding the ideal dog chew toy for our aging chewer!